Pablo Moses is a force of nature. A rock with an imposing build that seems to ignore the vicissitudes of the time. As if the campaign that saw him born in Plowden, a small remote village in southern Jamaica in 1953, had forever nourished him with his generous sap. Perhaps he also drew the modesty, spirituality and humanism that characterized his music there, in the heart of the peasant world. Perhaps he has traced, from this hill, the rasta path he has borrowed and never let go. Star apart from reggae, he has been singing his voice for more than forty years on international stages. The Itinuation (Grounded Music), his new album co-produced with Harrison Stafford, one of the pillars of Groundation, affirms this consistency to positively cultivate the paths of life. And especially marks his great return. Pablo Moses' course is nothing short of a long, quiet river. After a childhood tossed between Jamaica and the United States, he settled permanently in Kingston. The capital pulsates to the rhythm of ska and rocksteady. 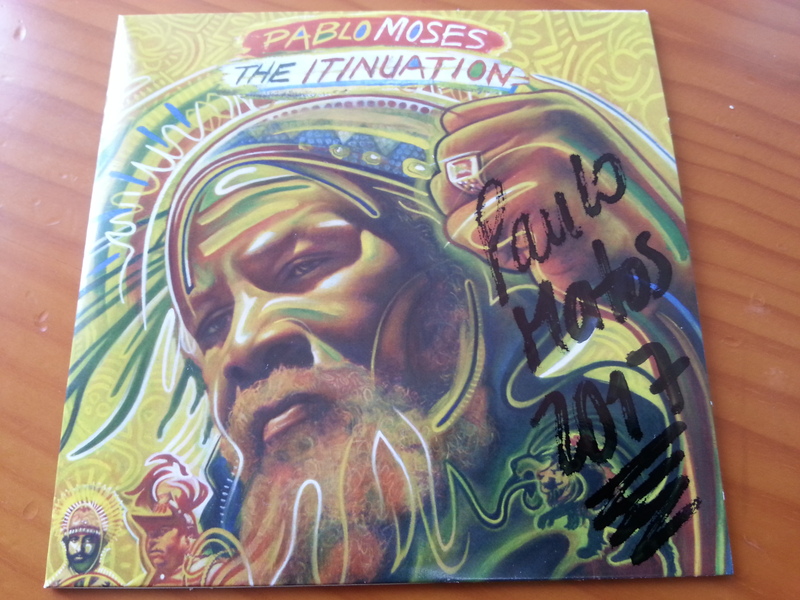 The heart of Pablo Moses vibrates for Ray Charles, Otis Redding or Nat King Cole. Creating his own music from jazz and blues, that's what he's talking about. In his neighborhood of Vineyard Town, he learns guitar alongside musician Michael Chung who once presents his brother, Geoffrey, future producer and engineer. This meeting led him to the Black Ark studio of the fantastic Lee Scratch Perry in 1975 to record I man a Grasshopper then We should be in Angola, two hits that end on Revolutionary Dream. This first album was shot in Jamaica, although it was censored by the authorities, who dislike this rasta advocating the benefits of grass and urging the Jamaicans to engage with the separatists in Angola rather than killing each other. The success of this revolutionary dream spread like wildfire to America and England. Pablo Moses takes off. After a visit to the Jamaican Music School where he perfected his musical knowledge, he signed A song (1980) and Pave the way (1981) on the Island label of Chris Blackwell, Bob Marley's producer. Once again made by Geoffrey Chung, these two galettes, like the first, prance at the head of the hit parades. The singer enters definitively into the international musical arena and the small circle of the great voices of reggae. He continued his career solo, far from the notorious actors of the profession, realized six albums, stopped all production discography fifteen years without ceasing to turn. In 2010, The Rebirth appeared. An obvious renaissance of the artist. Bright when she really gets body today with The Itinuation. "Harrison is like a son to me," says Pablo Moses. "Pablo?" An elder, a father! Harrison added. The two have known each other for more than ten years and share a mutual esteem. Also, when the young Californian is invited to co-produce the legendary Jamaican, he rejoices, bets on excellence and brings together the cream of Jamaican musicians. Nambo Robinson and Dean Fraser on brass, Robbie Lyn on keyboards, Harry T Powell on drums, Desi Jones on drums, Danny Axeman Thompson on bass, Dalton Browne on guitar ... A golden case to marry the exceptional voice of Pablo Moses Whose record has probably never been more ample than here. This high-flying team serves another Harrison Stafford desire: to embrace a panel of varied grooves, "to bring together different flavors". 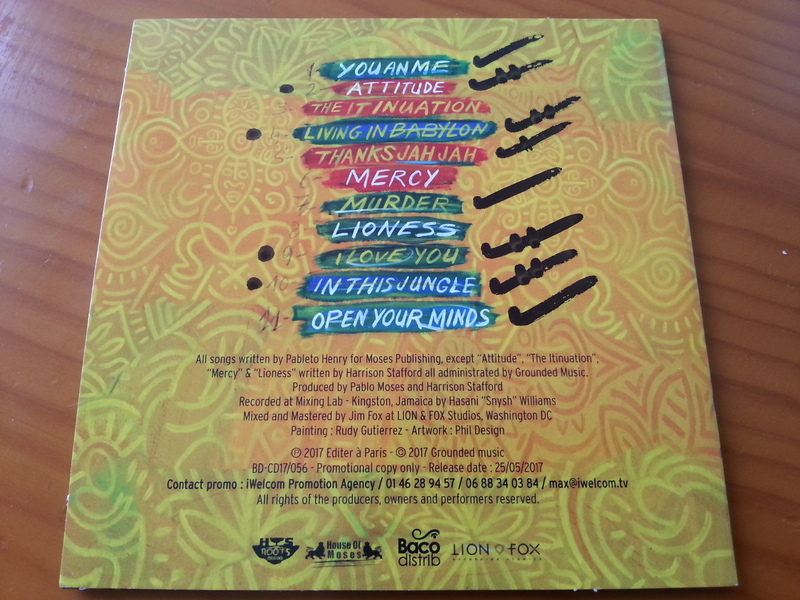 Recorded in Kingston at the Mixing Lab studio and mastered by the master of the subject, American Jim Fox, The Itinuation goes through the history of reggae, moving from lover style (I love U) to nyabinghi (Thanks Jah Jah ). Written with four hands - Harrison is the author of four tracks - he breathes the serenity and complicity of the studio sessions that gave him the day. 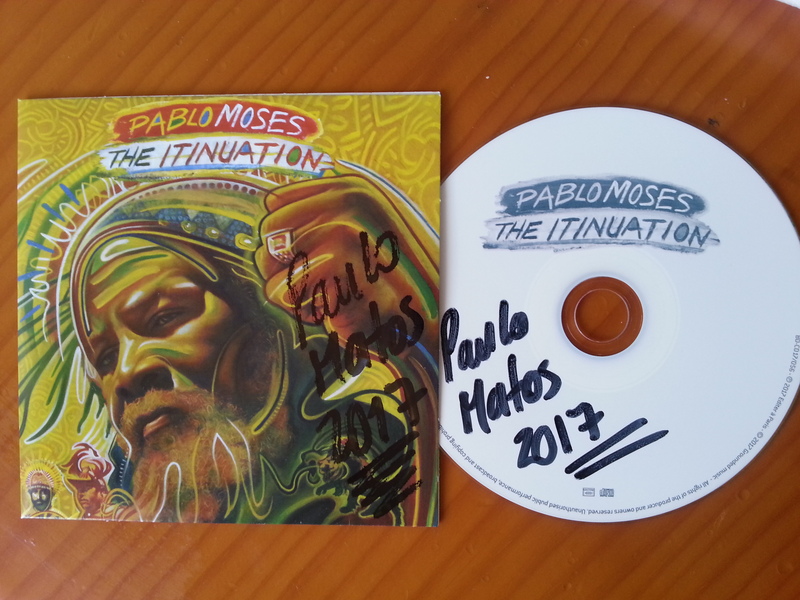 Faithful to his Rasta philosophy, Pablo Moses condemns the violence and corruption of the system (Living in Babylon, Murder, In This Jungle), racism and wars carried out in the name of capitalism, sheep that we are to obey fashions and To follow the dictates (You and Me) to celebrate righteousness, tolerance and resistance (Attitude, Open Your Minds, Mercy, Lioness). "My only religion is love, equal rights and justice for all" Pablo Moses whispered. The Itinuation is the superb sounding box. 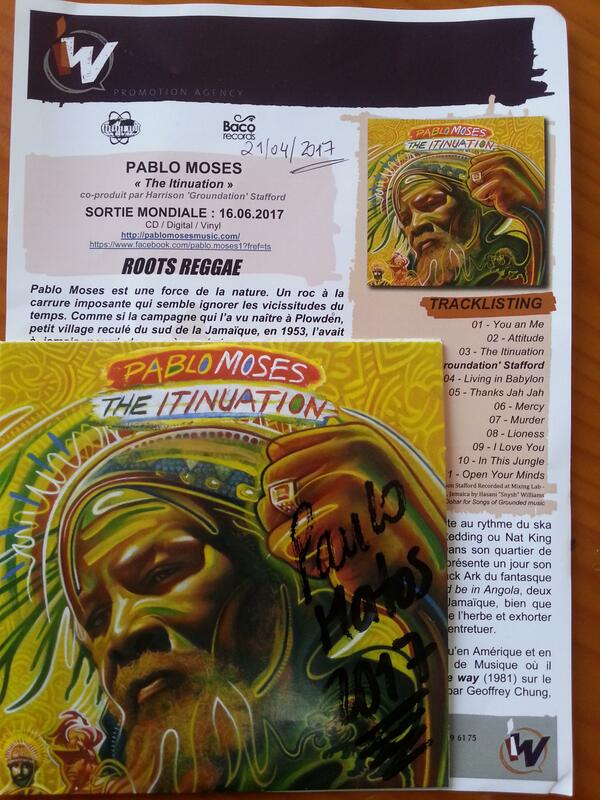 Great coming back from the living legend Pablo Moses, one of our favourite ever TRUE artists in the story of Jamaican Music !